We arrived from Budapest after quite a funny train ride. We’d forgotten to reserve seats on the train, so despite having booked 2 first class tickets, we ended up sharing one seat. Live and learn. After a 15-20 minute taxi to the hotel we arrived. The Park Hyatt Vienna is absolutely gorgeous. The weather was quite grey, nearly spitting snow, and the hotel looks quite regal in its winter outfit. We were greeted immediately by a porter and escorted inside. The lobby exudes the same class and sophistication as the exterior, with check-in immediately to the left. 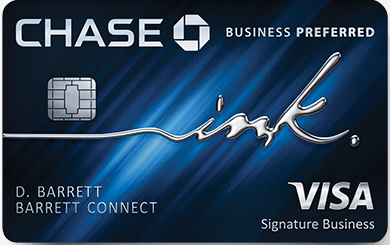 We utilized a Chase Ink Business Preferred to pay for any incidentals that would be charged during our stay. It earns 3x Ultimate Rewards on all travel. A card I would have been tempted to use ( and is on my list to get ) is the World of Hyatt credit card which would have given 4x points for this stay. The Park Hyatt Vienna is also part of Amex’s Fine Hotels and Resorts, and had we utilized that booking method ( which includes a ton of perks like $100 credit, upgrade, breakfast, etc ) I would have earned 5x points using an Amex Business Platinum or Amex Platinum when paying in advance. Arriving a couple hours before guaranteed check-in we were hoping to score a room early, but unfortunately the hotel couldn’t accommodate us. Instead, we moved items around, and headed out into the city with our bags stored with the porter. The front desk clerk was super nice and pointed us in the direction of some nearby restaurants, La Sosta is great for Italian and 5 mins walk, and prior to leaving we also met with the concierge to line up some dinner plans. I also mosied around…the hotel is incredible. We spoke with two different individuals who were very helpful in recommending Fabio’s ( incredible ) and SalonPlaFond at the Mak ( Also incredible ). The only negative mark I’d give would be involving our Starbuck’s which we had purchased upon arrival at the train station. One of the concierges criticized our choice and mentioned Vienna being famous for its coffee, much akin to Italy, and that there were far better places to enjoy a cup. We did enjoy many delicious cups of local coffee while in Vienna, and the coffee houses are gorgeous, but why criticize a guest’s choice upon arrival? While out and about we received a phone call that our room was ready. We mosied on back to the hotel, picked up our key, headed up to room 438. The hotel is in such incredible shape. Having opened in 2014, and visiting some of the other 5 star options nearby, it seems to be the most newly refurbished. The main bedroom was kitted out. Everything was synced with touch pads on the wall when you first enter and similar controls on either side of the bed. One of the coolest features was the hidden tv – tucked behind a mirror. One of the most distinct features of the room was the mini bar. It was housed in a custom built, stand alone, and beautifully constructed cabinet. Doors open, and inside was a fridge, and Illy espresso machines. They provided 4 caffeinated capsules, and 2 decaf. The Bathroom: The grandeur continues. A separate, marble covered tub with electronic controls and a built in tv are the first thing you see when you enter. It’s stunning. Floor to ceiling marble continues into the shower with a large mirror that makes shaving quite easy. There is a single vanity with drawers containing any additional toiletries you may have forgotten, as well as a hair dryer. Drop down to the lowest level and you’ll find both facilities. Note that there is a co-mingled sauna/steam shower that is attached to the men’s dressing room and just below the pool. The pool is gorgeous, home to the Bank’s vault back in the day. There are essentially 3 places to dine/lounge. We had a glass of champagne at the The Bank prior to dining at Fabio’s and I’d recommend it. Great vibe, quick and personable bartenders, and a cool set up. The Lounge is for smokers, with an attached cigar bar. I’ve stayed at my fair share of Hyatts around the world, and the Park Hyatt Vienna is one of my favorites. I wish I would have booked it when Cash + Points were still pricing at 12.5k + $150, but no regrets at redeeming at the full 25k. It’s an extraordinary hotel, and one I’d highly recommend you experience. If you’re short on Hyatt points, I’d strongly suggest picking up the World of Hyatt credit card from Chase, or one of their numerous Ultimate Rewards earning cards ( Sapphire Preferred, Reserve, Ink Business Preferred ). Read those linked articles about how to make use of their perks, and transfer points like I did into Hyatt for our redemption. Reminds me of my first stay there in 2014 in a suite as a diamond member. Just amazing. Looks really beautiful. We were in Vienna 2017 and were blown away by the rooms and the service at the Ritz Carlton in Vienna, which I still consider one of my favorite hotels. Will be hard to pull the family away from that RC, but it’s good to know there is another winner in Park Hyatt in case availability is an issue at either one of them next trip.